It is a little known fact that the instigator of setting up a cricket club in Wellington was in fact a woman. A Mrs G E Hall wrote a letter which was published in the Wellington Journal and Shrewsbury News in 1946. 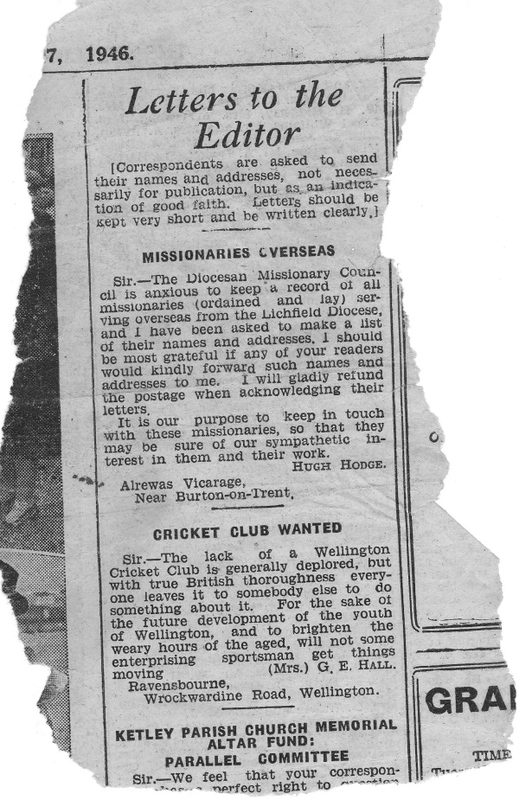 In her letter Mrs Hall deplored the lack of a cricket club in Wellington and wondered if "for the sake of the youth of Wellington, and to brighten the weary hours of the aged, will not some enterprising sportsman get things moving". Well someone must have got things moving because Wellington Cricket Club was formed in 1947 when the then Earl of Powis generously donated land for the townspeople of Wellington to play cricket.